The high-powered Tampa Bay Lightning just keep on rolling. 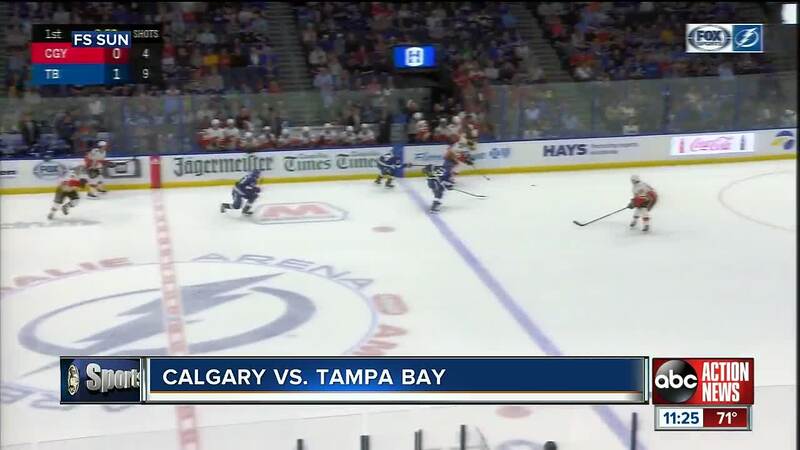 NHL points leader Nikita Kucherov had a goal and three assists, Brayden Point added a goal and two assists, and the Lightning beat the Calgary Flames 6-3 on Tuesday night. Kucherov has 88 points, including seven over his last two games after going a pair of games without getting on the scoresheet. TAMPA, Fla. (AP) -- The high-powered Tampa Bay Lightning just keep on rolling. "Good to see we got two games with `W's,"' Kucherov said. "That's better."